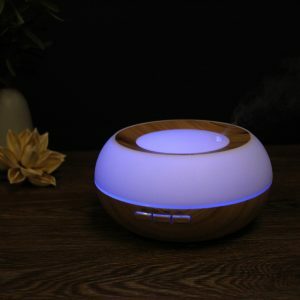 UNIQUE AND COMPACT DESIGN : Coated with wood grain, the aroma diffuser looks very natural and primitive. 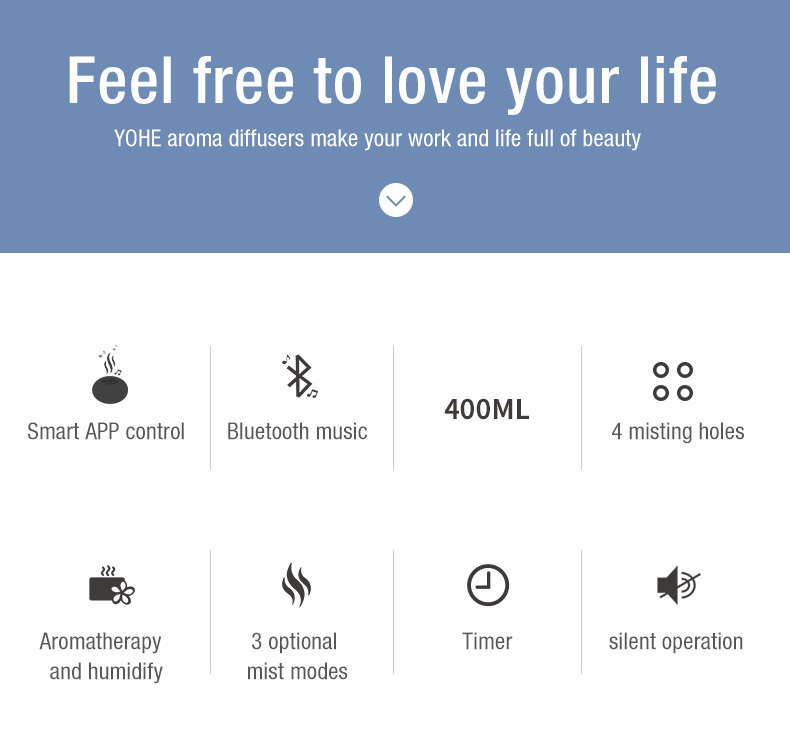 The cap of the aroma diffuser can be easily taken off. You won’t bother to unscrew the cap with great force when your hands is wet. Just gently take off the cap, add water and essential oil. BUILT IN BLUETOOTH FEATURES TO PLAY MUSIC. 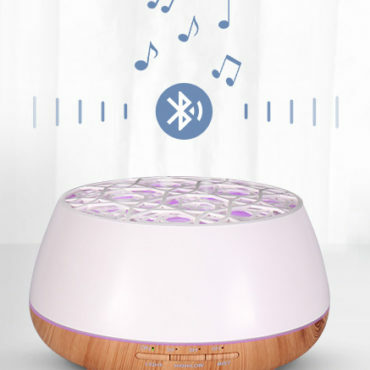 You can play music from your phone via the bluetooth feature of the diffuser. Mist OUT Music ON. Enjoy high quality life. 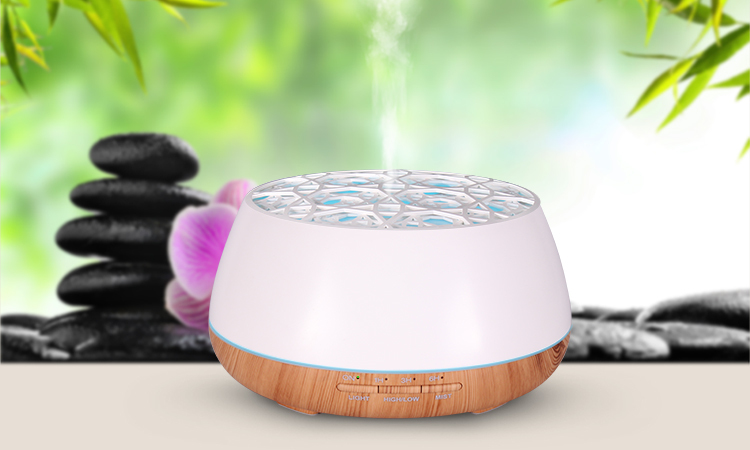 LARGE CAPACITY AND GREAT MIST OUTPUT: The aroma humidifier can hold up to 400ml of water and lasts up to 18 hours. 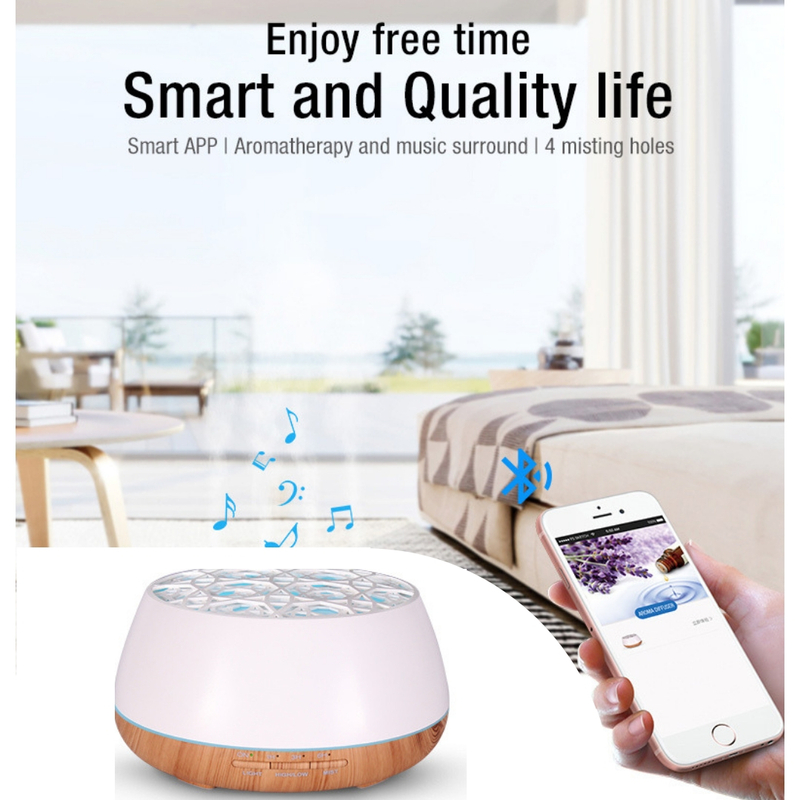 SILENT OPERATION: Adopted ultrasonic technology, this humidifier is quiet when working, sleep and relaxation without interfering. 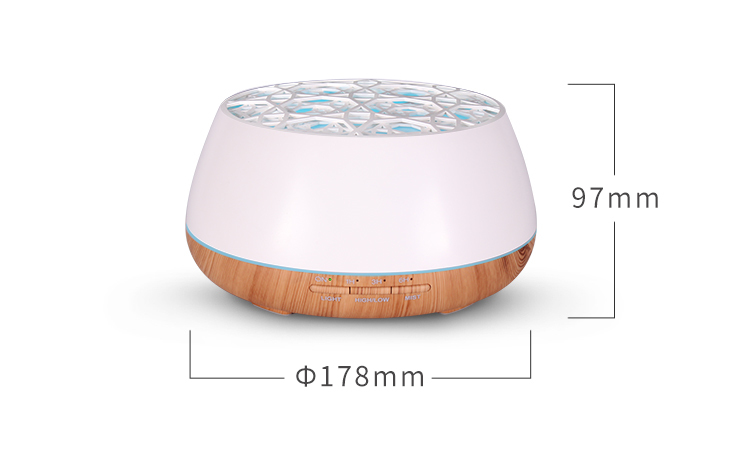 Perfectly use it in the nursery, office, spa, yoga studio, or in any room of your home. AUTOMATIC POWER OFF: Automatic shut-off prevents overheating and safety concerns. 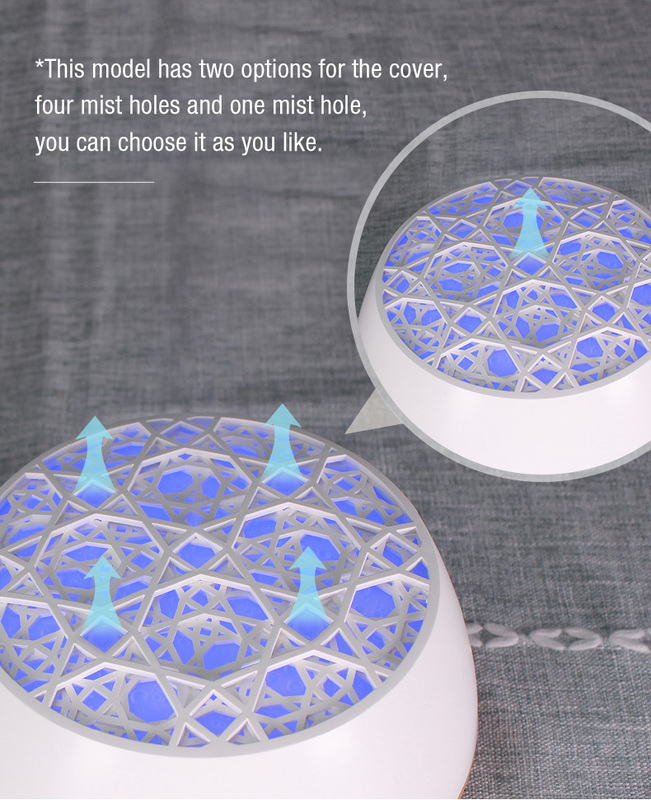 More, long press the mist button to choose the mist quantity from low and high. ADJUSTABLE LED LIGHT: Two lighting modes: steady on/changing color. Total 7 colors and each color is adjustable from bright to dim. The soft light creates romantic atmosphere which helps you escape the hustle and bustle of modern life. 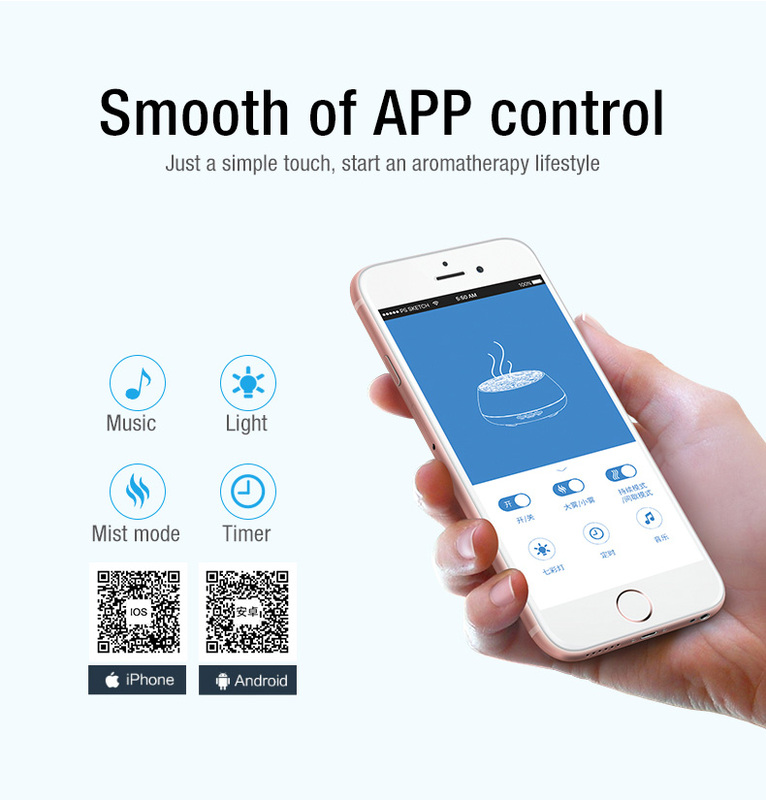 Ultrasonic Bluetooth Music Aroma Diffuser uses a metal diaphragm that vibrates at a high frequency to produce a cool mist. 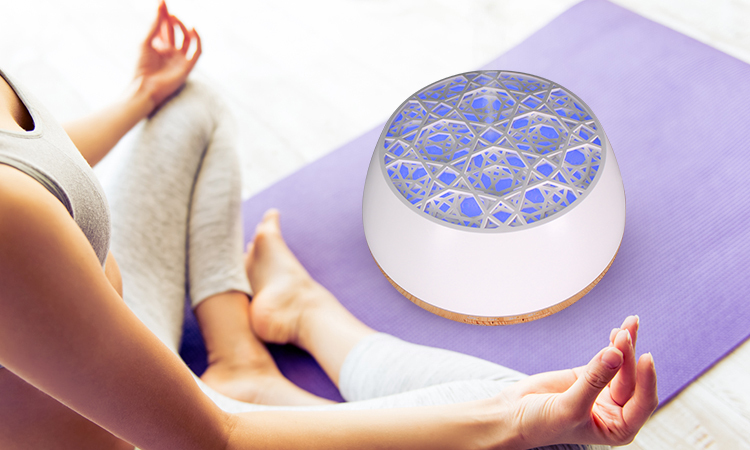 The sound vibrations push moisture into the air. The water molecules are micro-fine and the mist is absorbed into the air almost instantly. 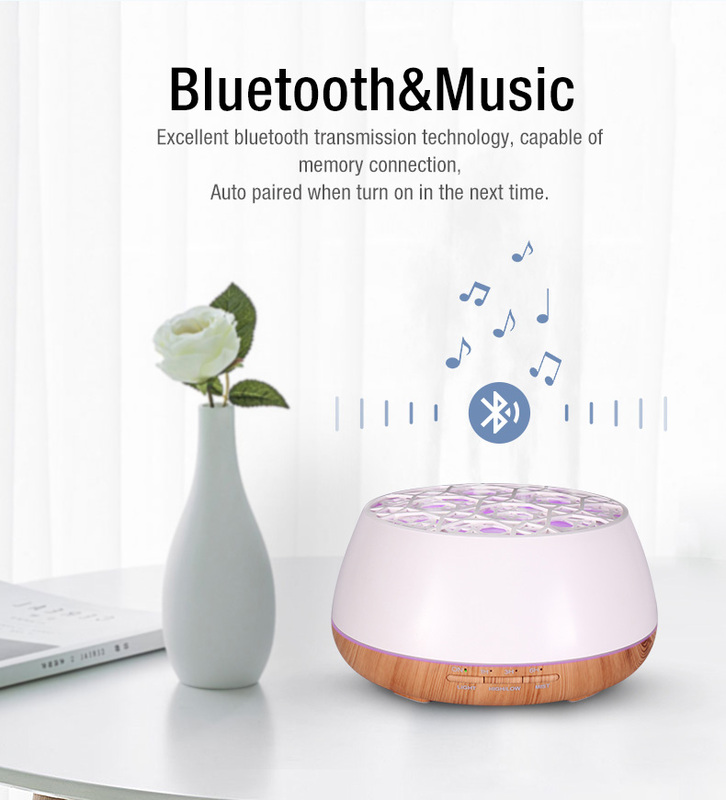 At the same time, built in bluetooth feature to play the music from your phone. 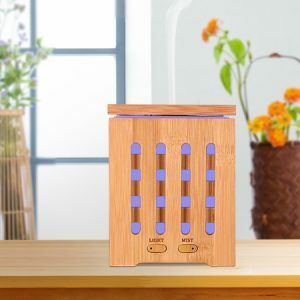 Ultrasonic Bluetooth Music Aroma Diffuser is perfect combination with essential oils. 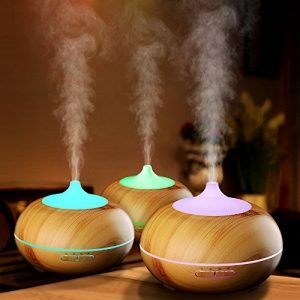 It works as an essential oils diffuser, designed for add on essential oils. Once in the air, they are inhaled and come into contact with nerves that send them directly to the brain. 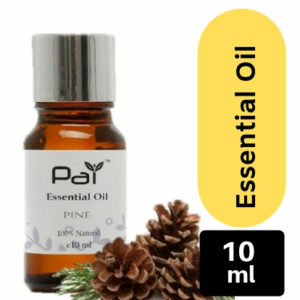 This is a quick and safe way of letting the essential oils go to work for you. 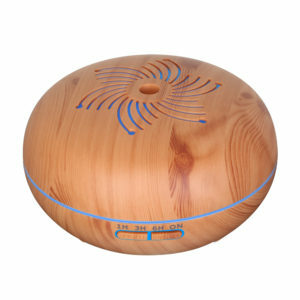 Like a simple bowl, coated with wood grain adopts the latest ultrasonic technology and bluetooth feature to give off smooth mist which can soften and moisten dry air and play music from your phone. Super large 400ml water tank to support 12 hours of continuous mist output. Silent operation make the diffuser runs softly around you. Automatic power-off can be set. More, the color of the atmosphere light can constantly change. 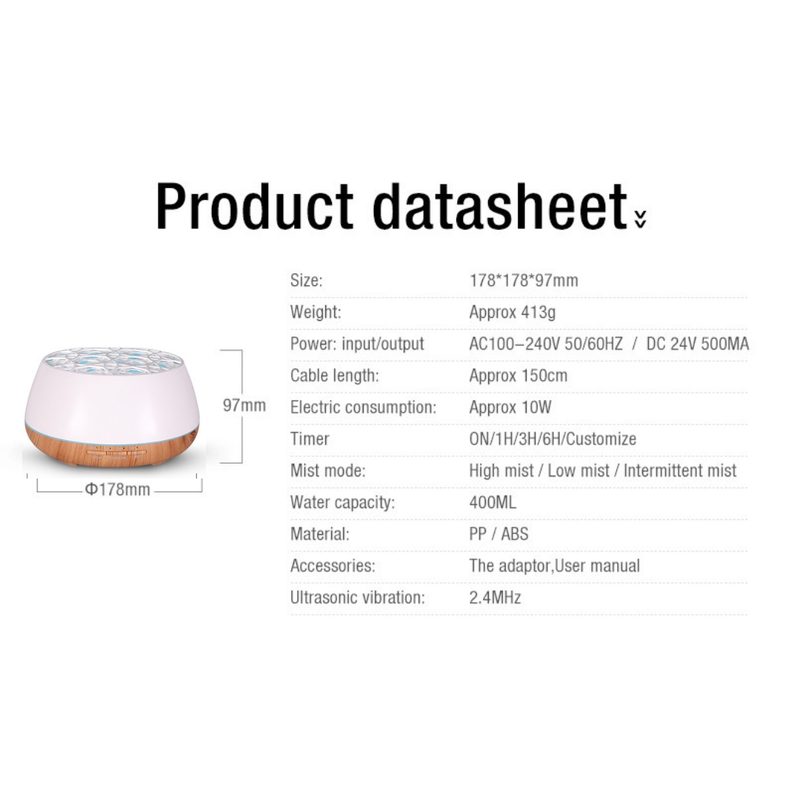 Perfect for office, home, bedroom, living room, study, yoga, spa.